Ted Rosenzweig sidles up to the counter with two bottles in hand. With a flourish, he pops the caps off and lets them fall, clink across the countertop and roll to the floor. He reaches for a short-stemmed snifter glass. Tilting the glass just so, he pours in a bubbly chartreuse liquid. He then repeats the process with the second bottle, the only difference is color—this one is rouge. As the head of the frothy brews settle, he talks about the artistic process that makes craft beers like this possible. These two beers in particular came from Rosenzweig's underground cellar—a true beer zealot's nirvana. The low-ceilinged space is home to more than 150 batches of beer—in kegs, casks and bottles—that are brimming with everything from lagers to lambics, stouts to sours. "They go down quick," he says, smacking his lips after a sudsy sip of the sour-styled beer. "They take all year to make and only a few minutes to enjoy." He should know. All those beers hibernating in his cellar he made himself. And those are only about half of the beers he's made in his lifetime. 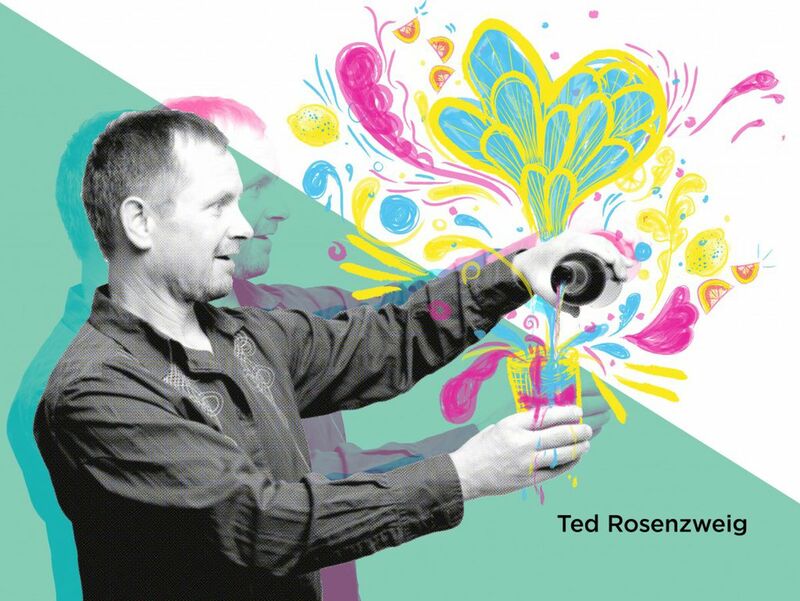 Over the past 30 years, Rosenzweig has carefully developed his formulas, skills and style in his home brew operation to craft his own signature suds. The numbers of his batches follow the growth of his palate and his abilities. The lower numbers are pale ales, IPAs and lagers—beers he says are easy to brew and drink. The higher numbers are boozy belgians and sour ales (his specialty)—beers that take both prodigious skill and artistry to produce. As he grew more adept in his chosen art form, he experimented with the ingredients in his potent potables to push the creative boundaries. "You can constantly play with the parameter of a beer style," Rosenzweig said. "When you're home brewing you can take liberties that commercial breweries can't or don't want to take. It might not strictly speaking be an IPA anymore, but it's still a good beer. That freedom to play with it or tweak it is where the art form really comes in." Though all beers require the same four ingredients—water, hops, malt, yeast—the grain varietals used and the additional ingredients (like spices and fruit) are where the artistic aspect comes into play. Think of a painter mixing various pigments to develop different colors. That inclination to create is what spurs many home brewers into the DIY fray. The number of homebrewers has been bubbling up over the years—the American Homebrews Association estimates that 1.2 million people will make at least one batch this year. 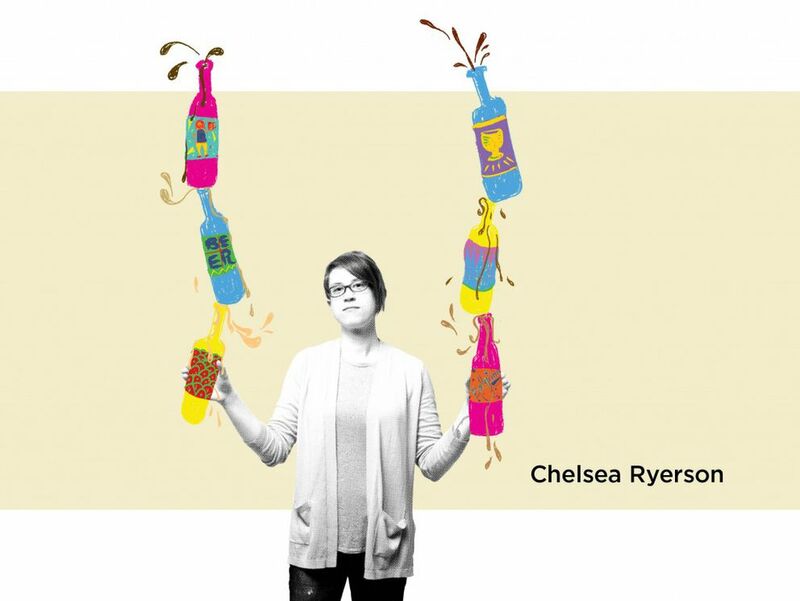 Chelsea Ryerson started homebrewing shortly after attending a party where she sampled someone's homebrew beer. "It was my first time trying homebrew and I was blown away," Ryerson said. "I spent the whole party asking him questions and getting tips on how to get started." Now Ryerson is an award-winning homebrewer—one of her beers took first in the fruit beer category at the Anchor Town Homebrew competition last fall—even though she can only make three gallons at a time in her pint-sized Anchorage apartment. Ryerson said the beers she's been most impressed with are the ones that demanded imagination. While not everyone can paint with the prowess of Picasso, most can doodle stick figures to convey ideas. Likewise, Ryerson argues that if you can make a cup of tea, you can make a batch of beer. Most entry-level beers require no more than properly sanitizing equipment and adding a bag of ingredients to hot water. Recently Ryerson married tamarind with a wit beer she'd crafted—the citrusy and sour notes of the spice suited the fruitiness of the brew—and coupled a porter with pumpkin puree to create a beer with more dimension. "The beauty of home brew is you can literally do whatever you want," Ryerson said. She says while she's intrigued by wacky flavor combos in beers, she generally tries to stick to beers she'd be able to share with friends. "I've heard of some crazy beers with ingredients like bacon or carrot or gummy bears," Ryerson said. "I could brew those, but I think I'd have a hard time getting rid of them." Peter Hall, another Anchorage-based homebrewer, added that homebrewing often attracts people who are driven to share their spoils with others. 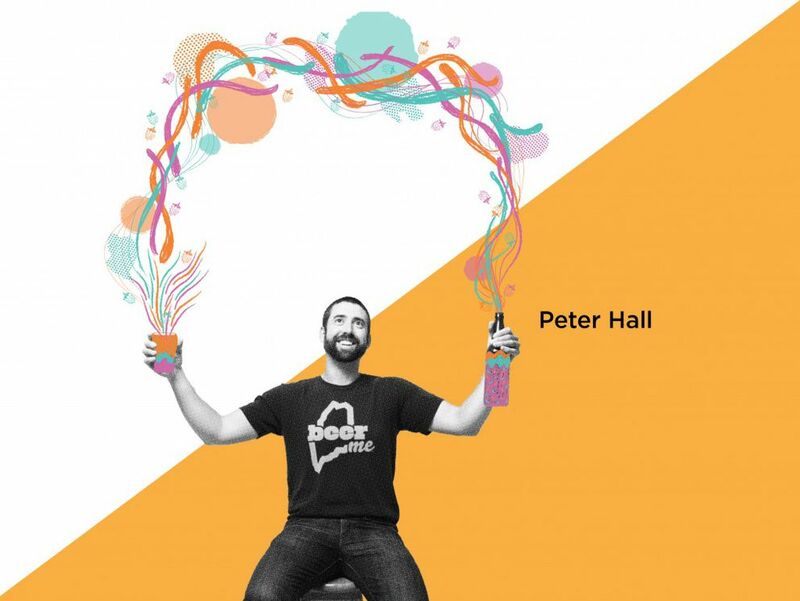 "I think what makes homebrew an art form is the ownership of it," Hall said. "20 years ago people got into it because they were disenfranchised with what was at the store. They said they could do better. I can't necessarily do it better now, but I can make a good beer and can share it with people. I think the people who make art are looking to share something, too." For now, Hall and Ryerson are content with brewing sporadically in their homes. Rosenzweig, however, said his love affair with the craft has grown so much in the last three decades that he's planning on leaving his full-time gig as a surgeon to parlay his hobby into a business. As soon as he can secure a location, he'll open Turnagain Brewery. Turnagain Brewery will join the ranks of other professional breweries in Alaska that started in a brewer's garage—from newbies like Odd Man Rush Brewing and Resolution Brewing Company, to mainstays like Anchorage Brewing Company and Baranof Island Brewing Company. Shane Kingry and Dana Walukiewicz, co-owners of King Street Brewing Company, had both been brewing independently for over 10 years when they met at a 4th of July party where Kingry was serving his homebrew. They got to talking and then went fishing and eventually confided in each other that they'd always wanted to start a brewery. "We like to say we got kicked out of the kitchen by our wives, outgrew our garages and so we had to open up a brewery," Kingry said. While the duo is known for their tendency to stick with more traditional European style brews, they echoed Hall's ethos: it's all about making it your own. One particularly crafty beer they dabbled with recently involved putting a classic Belgian wit in an oak chardonnay barrel to age. The end result gave them an interesting light-bodied beer with oaky, buttery tones. The brewery has experimented with working with homebrewers that excite them, too. "We'll sometimes go to beer judging contests and pick out a beer that might not have been best of show, but that we find inspiring and we'll work with the homebrewer to brew it in our commercial system," Walukiewicz said. Walukiewicz said there are things the commercial brewery is able to do with their equipment to really make the hops shine and malts sing. Homebrewers might need to use more ingredients to get the flavors they're chasing. In the back of their facility on King Street, the duo have some more barrel aged beers—both their own or from their home brew compatriots—awaiting experimentation. "We've got this spicy saison I want to use some fruit purees with," Walukiewicz said. "We'll play around with it for a while until we figure out just what really hits the spot." Attraction: A unique take on the style with a tart lemon/orange component we found wonderful. 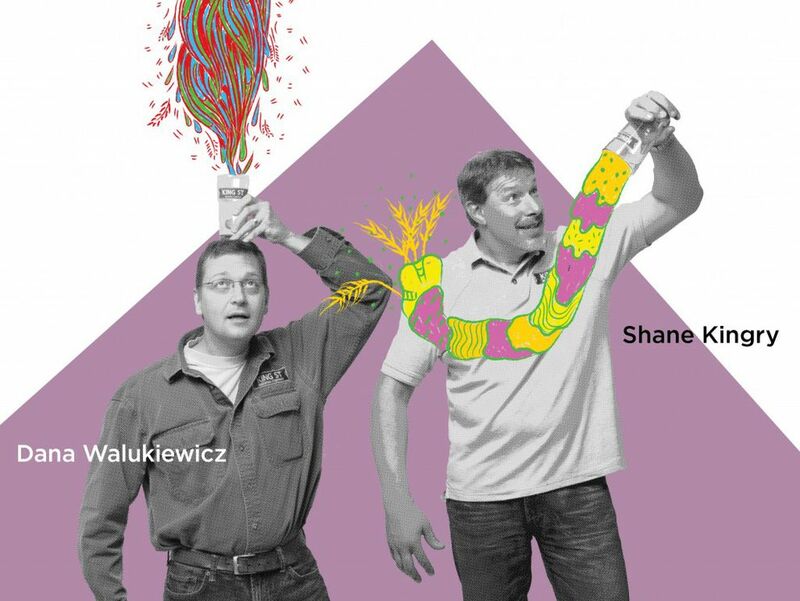 Background: Lee and John were new to homebrewing and this was the first beer that they entered into a homebrew competition. We worked with them to recreate that tart-lemony flavor in the commercial version. Attraction: A balanced representation of a stylistically big beer. We had been thinking of making a spiced beer, but we didn't want the spice to overpower the beer. When we tasted Kevin's version, we immediately realized that this beer would hold up well with a moderate amount of spice but still retain its roots as a Belgian dark beer. Since it was to be released in December, we sat down with Kevin and dosed some samples of his brew with various spices to find the perfect blend. Background: Kevin is a long-time homebrewer, with an excellent palate, who is very involved with the Great Northern Brewer's club. Attraction: A smooth drinking double IPA that displays the Belgian character in an elegant way with a nice compliment of citrusy hop flavor. Background: Tim was very involved with the scaling process on this beer and we were able to incorporate a couple of new techniques in the commercial version that he wanted to try.